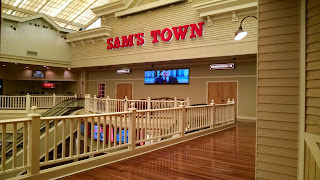 Sam's Town: a false wall hides the shuttered second floor. I've been fascinated by struggling businesses all my life. When I was a teenager I watched as Century Plaza Mall and Eastwood Mall in Birmingham slowly ceased to exist. Rather than just be stunned by their demise, I wanted to know what happened. How did a thriving mall - one of which was once the largest enclosed mall in the South - completely shut down? Lately I've been studying an entire region that seems to be headed in the same direction. 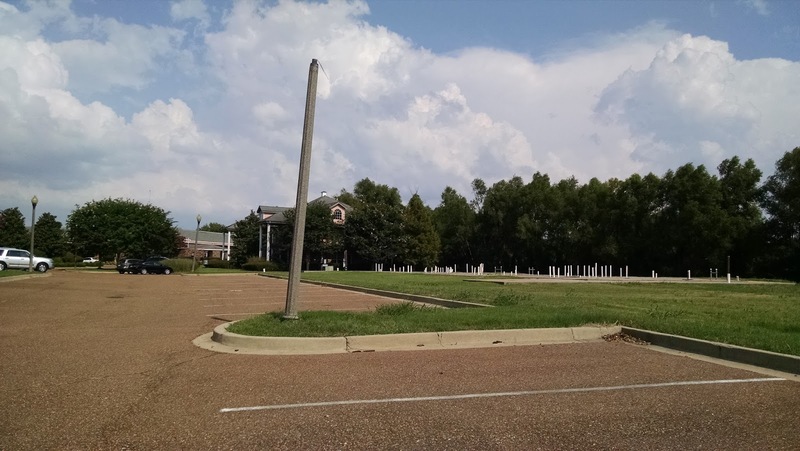 Before casinos came to town, Tunica, MS sat in the poorest county in the U.S. The per capita income was $6,500 in 1990 and unemployment sat at 13.1%. New casinos promised to change things. And it did, for a while. While the population of the area only grew slightly, a consequence of poor infrastructure, per capita income expanded to $16,153 in 1994 (it has stagnated since, and was only $15,549 in 2013). Though there wasn't a population boom, there was improvement in local facilities as gaming tax revenues funded a new jail, courthouse, arena and expo center, expanded library and airport, and other municipal buildings. Alas, the tides have once again turned. Demolition: the only activity at the shuttered Harrah's. Mississippi gambling revenues are at their lowest in 27 years. In 2007, non-tribal revenues in Mississippi hit a record $2.89 billion. In 2013, they were $2.13 billion. Remove the healthier Gulf Coast casinos from the comparison, and you see a 33% drop in revenues from 2007 to 2013 in the Mississippi River gambling market, from $1.58 billion down to $1.07 billion. In 2014, revenues fell 7.8% at river casinos to $988 million. Tunica is a place you go to gamble. That's it. There's no movie theater. No bars or nightlife district. You have to go to Memphis, 40 miles away, for that. Today, even the casinos are struggling to stay afloat. In June 2014, Harrah's shut down, laying off 1,300 employees. It was once the largest casino between Las Vegas and Atlantic City, and the closest to nearby Memphis. Other casinos continue to struggle. There isn't one strip of casinos here like there is in Vegas. There's the still-strong powerhouse of Gold Strike, Horseshoe, Tunica Roadhouse and Bally's. These are the closest for those driving from Memphis, and weekend business is booming. Weekdays are much slower. Continuing southward, the Fitz sits alone and between the other casinos. The Tunica Queen Riverboat cruise, adjacent to the Fitz, offered dinner cruises along the Mississippi River. It shut down in July. 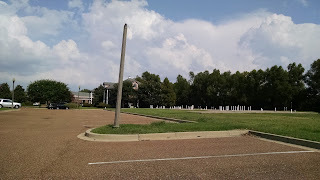 The southern-most casinos are the closest to the city of Tunica (all the "Tunica" casinos are actually located in an area called Robinsonville). Sam's Town, Resorts and Hollywood Casino are all clustered together at the end of Casino Strip Resort Boulevard, and seem to be struggling the most based on parking lot counts. 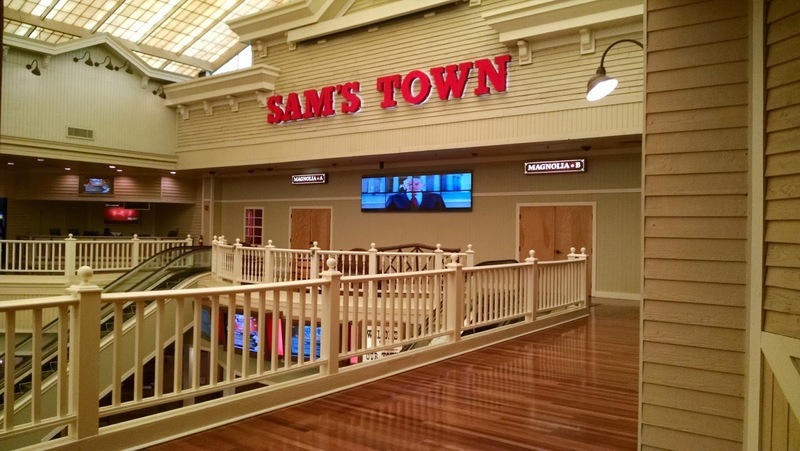 Sam's Town has closed its second floor casino, shuttered retail space, and not maintained its hotel. Many sleeping rooms still feature CRT-style televisions, poor Internet connections, and dated furnishings. 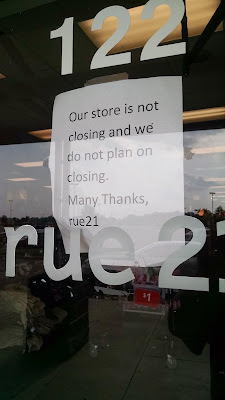 Rue 21: it's so bad, a sign promises they won't close. Two malls in Birmingham closed because other malls opened in newer parts of town. This is happening now in Tunica. 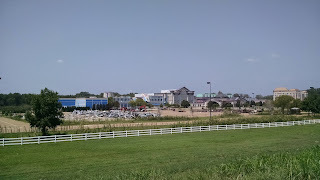 The largest retail development is the Casino Outlets, which opened in 1999. 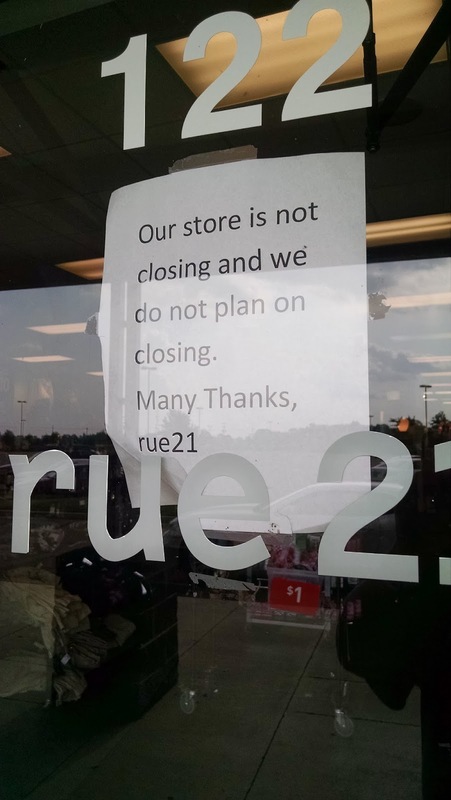 Today, only a handful of stores remain, and the center is about 80% vacant. Tanger Outlets is building a 310,000 square foot center in Southaven, 26 miles away in the Memphis area. 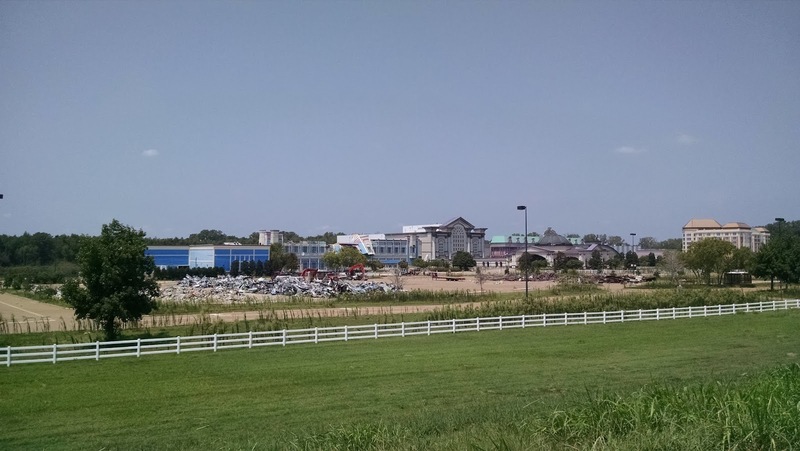 When it opens in November, will any retailers remain at Tunica's outlet mall? Continue south to Downtown Tunica, and more of the same. Besides a small Piggly Wiggly, one may shop for groceries at Dollar General, or perhaps one of the convenience stores. Many buildings sit empty. The Main Street area has a beautiful courtyard, but only a smattering of antique stores, discounters and a couple of banks and restaurants. Most of the buildings are for government offices, with an emphasis on welfare services such as WIC and subsidized healthcare. The nearest Wal-Mart, CVS or Walgreens are 20 miles away. Westgate Resorts: a concrete pad with exposed pipes. Other businesses in Tunica are threatened. A number of hotels, including Microtel, Quality Inn, Days Inn and Best Western, are located nearby. These hotels serve the almost exclusive purpose of housing gamblers. It was hard not to notice the empty parking lots at these hotels. Outside of weekends, only a handful of cars were parked outside. Westgate Resorts, a timeshare close to the Gold Strike, is a testimony to overly ambitious plans. The development was literally halted in mid-construction, and only a handful of units were ever built. Those units that were finished are in disrepair, with ailing roofs and poor reviews. The property is ranked 18 of 19 hotels in Tunica on Trip Advisor. With gambling establishments now operating throughout the United States, Tunica is no longer relevant. The leaders in this region made an all-in wager that gambling alone would make Tunica thrive. That focus, and the complete lack of alternatives, is killing this town. It is probably too late to revive the gaming industry here. Adding other entertainment such as a theme park or cinema is unlikely. One possibility is manufacturing. A few small plants dot the agricultural landscape already. Inexpensive land along with highways already in place, coupled with cheap labor, could attract companies to this area. To be certain, the only sure bet around Tunica is that the gaming industry will continue its slow demise. I wager that another closure, likely in the southernmost area of the market, will happen in a matter of time. Nothing makes me happier than the title of this article. Has Tunica been bad to you? I'm just returned from Tunica, I am so disappointed with the awful food and service at all the casinos. . I had no idea how much it has fallen, what a disgusting mess, and the slots are unwinnable. .prices still high for the cold slop they call food!! Yes, as revenues have declined, the casinos have really cut back. But as they cut back, it just makes it worse because people stop coming. I also noticed how bad the food had gotten. Terrible planning...article right too spread out. Should have been a strip that had bars and clubs with jazz permeating the streets...carriage rides to the river. You get there and besides the casinos that are spread to far away..there is nothing so unless your a serious gambler this is not a tourist destination.